Read about the award-winning GAP Headquarters, 901 Cherry project from Green Roofs for Healthy Cities and Cornell University’s Ecotecture. 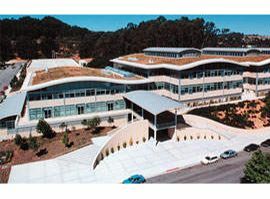 Learn about American Hydrotech in The Greenroof & Greenwall Directory. 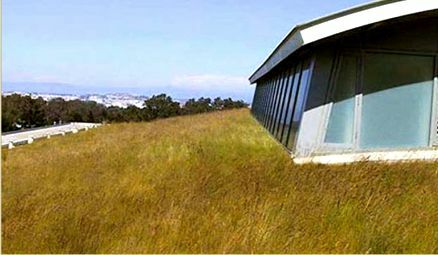 William McDonough + Partners of Virginia designed the $60 million Gap Headquarters at 901 Cherry Avenue in San Bruno, California with undulating greenroofs in 1997 (www.mcdonough.com). 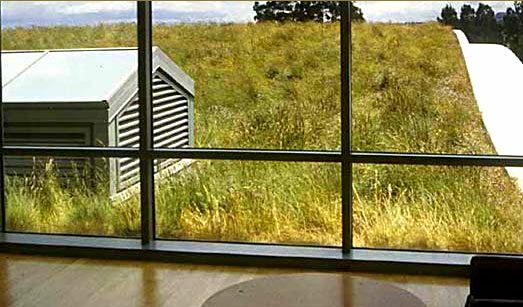 McDonough was voted a “Hero for the Planet” by Time Magazine for his ecological designs, and won the BusinessWeek/ Architectural Record Award in 1998 for this environmentally sensitive and sound project. 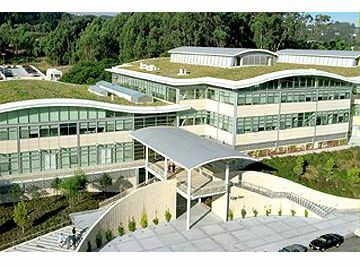 The Gap Headquarters won the 2003 Green Roofs for Healthy Cities Award of Excellence in the New Extensive category. 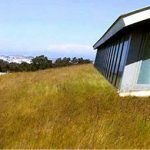 The Gap greenroofs are made of a hot rubberized asphalt waterproofing membrane, topped by a root barrier and six inches of extruded polystyrene insulation. 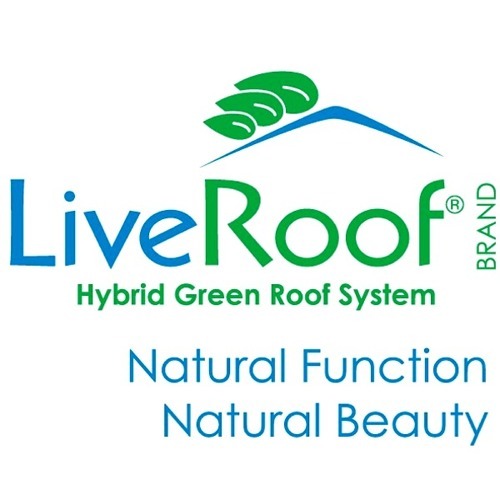 The insulation is topped by drainage boards, which are in turn covered with filter fabric to keep fine growth media particles out of the drainage material. 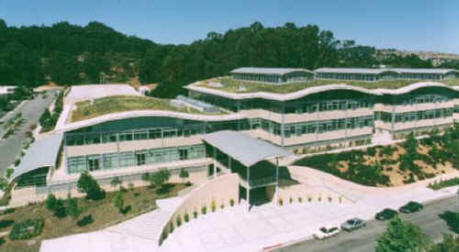 American Hydrotech supplied the greenroofing components. 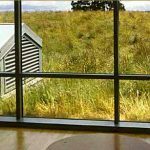 Six inches of engineered soil are planted with native indigenous grasses and wildflowers, which were cultivated from native grasslands in San Francisco. 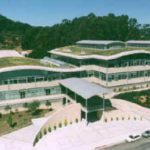 This self-sustaining, low maintenance extensive greenroof provides extraordinary thermal and acoustic insulation and will contribute to increased energy savings year-round (Kevin Burke, project manager, personal communications, March 1999). It is believed that the noise attenuation can reach up to 50dB. 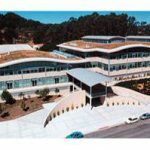 Greenroof Provider: American Hydrotech, Inc.